Image: All study trip participants with Jas Johal from Reaching Out East, London in front with a checkered shirt. Since the summer of 2016 KBT has contributed to an Interreg collaboration about service innovation. The goal of the project is to exchange experiences with, develop and test methods and models for service innovation across the border between Norway and Sweden. The project is a collaboration between the Municipalities of Melhus, Trondheim, Stjørdal, Timrå and Östersund. The project is owned by the TISIP Foundation and it’s being evaluated by the Mid Sweden University. The project will continue throughout 2018, and the project is especially interesting for KBT in regards to our work within service innovation. 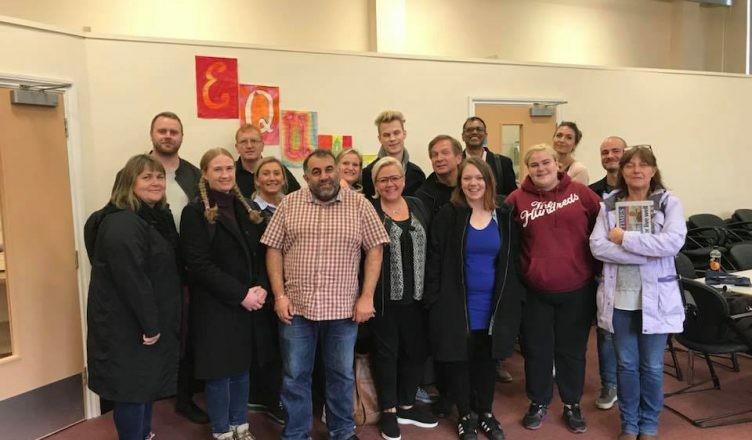 As a part of this project we went on a study trip to Wales and London to obtain information about how organizations, charities and others in London, Cardiff and Swansea have developed mental health and substance abuse services. A special focus was co-production, recovery and service innovation. Below is a report from the trip. Works as a project team member in KBT. Works with User Interviews User, dialogue meetings, webpage and social media.